What is Different this Time? Will I Have Access to the New Futures? On March 26th, the Shanghai International Energy Exchange (INE) finally launched an oil futures contract that appears to resolve many of the above obstacles. For the first time, it allows foreign traders free access to Chinese markets, and foreigners using the contract can hold their collateral in foreign currency as opposed to RMB. INE oil futures prices have resultantly aligned with the Brent and WTI oil benchmarks since their inception (Figure 1). Coupled with general encouragement from the Chinese government, these attributes enabled the INE contract to gain greater-than-expected volume around its launch. Many observers see this success as an initial step towards greater Chinese control of international commodity pricing mechanisms, aided by the internationalization of the RMB. How are People Using the New Shanghai Oil Futures? Are They a Success? There is still skepticism surrounding this futures product. Like other Chinese futures contracts, the INE contacts’ trading volume does not appear to have translated into substantial open interest (actual positions held by market participants). Indeed, open interest in the contract appears miniscule (Figure 2). Moreover, the contract’s long-run success will depend on China’s ability to reform further. The US dollar retains liquidity and convertibility advantages over the RMB, giving its users trading advantages and enabling it to dominate international commodity pricing. Its position will not be easily displaced. What’s the Risk for Supply Chain? 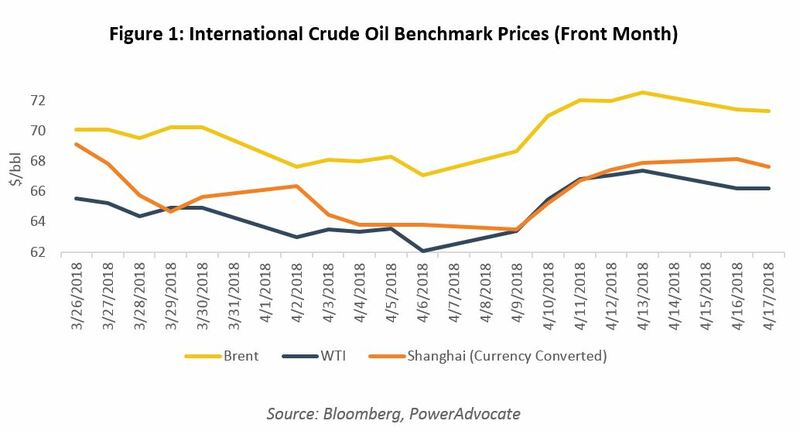 If Chinese oil futures do catch on as an international commodity price benchmark, there’s risk for supply chain teams if suppliers attempt to use them as a reference in index-based supply contracts, particularly in situations where supplier and/or joint venture partners are Chinese. expose buyers to the US dollar/RMB exchange rate. The contract may also prove to be a poor long-run reference and could disconnect from international markets given its newness and uncertainty: activity could fizzle out, or the Chinese government could always change policy. So, What Should Supply Chain Teams Do Instead? Less severe contract price inflation during rising markets since these cost drivers usually exhibit less price volatility than raw materials like oil. A more conceptually defensible approach than referencing to oil prices, as oil prices only indirectly affect supplier costs. Overall, PowerAdvocate recommends that supply chain teams avoid referencing oil price benchmarks when structuring index-based contracts, especially underdeveloped and premature ones like the INE contract. Interested in better understanding best practices for index-based contracting or in learning more about other topics related to cost mitigation? Click here to learn more. We’re happy to share case studies of how oil and gas firms are driving millions in savings with better strategies.